The 30 / 40 minute walk will take you around Dubai Marina and is perfect for both residents and tourists. 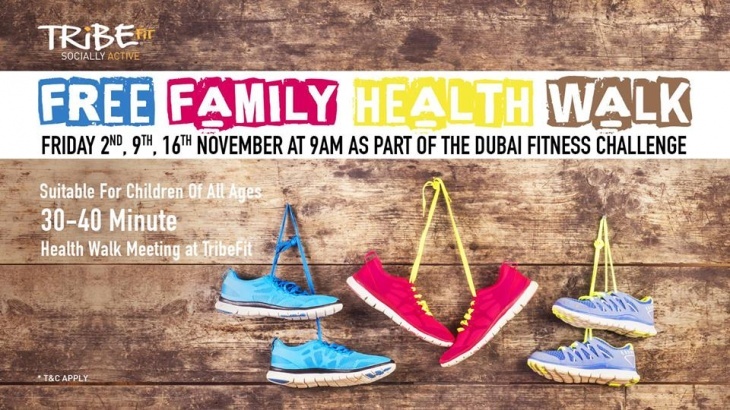 Please arrive at TribeFit by 7:50am ready to leave promptly at 8:00pm. And don't forget to wear sunscreen! To RSVP for one of the above Family Health Walks click here.